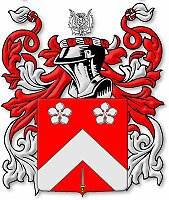 Linked family file ROBX1620 with spouse's ancestryHERE. 1. Robert1 Doig, born abt 1620 Of Dundee, Angus, Scotland; died 1705 in Dundee, Angus, Scotland. He married unknown. Robert as the father of Andrew and Thomas is based on both having an eldest son named Robert, both being maltmen, Robert Dog being witness at the christening of Robert Dog, and Robert Dog as grandfather of David Watson. + 2 i Andrew2 Doig, born abt 1644 Of Dundee, Angus, Scotland; died bef 1706 Of Dundee, Angus, Scotland. He married Margaret Milne. + 3 ii Thomas2 Doig, born abt 1649 Of Dundee, Angus, Scotland; died 1693/1700 in Dundee, Angus, Scotland. He married Grizel Brand. + 4 iii Robert2 Doig, born abt 1655 Of Dundee, Angus, Scotland; died 1730 in Dundee, Angus, Scotland. He married (1) Christian Grant; (2) Jean Fyffe. + 5 iv Elspeth2 Doig, born abt 1660 Of Dundee, Angus, Scotland. She married James Anderson. 2. Andrew2 Doig (Robert1), born abt 1644 Of Dundee, Angus, Scotland; died bef 1706 Of Dundee, Angus, Scotland. He married on 1 Jul 1669 in Dundee, Angus, Scotland Margaret Milne, born 1648 in Dundee, Angus, Scotland; christened 24 Feb 1648 in Dundee, Angus, Scotland, daughter of David Milne. Andrew was a maltman in Dundee. In 1702 he was listed as a master maltman with apprentice Alexander Scott. The link to father is based on age, location, and David Milne as witness to the birth of her first 3 children. 6 i Janet3 Doig, born 1670 in Dundee, Angus, Scotland; christened 4 May 1670 in Dundee, Angus, Scotland. Notes: Witnesses to Janet's christening were David Mill and John Kyd. 7 ii Margaret3 Doig, born 1672 in Dundee, Angus, Scotland; christened 19 Mar 1672 in Dundee, Angus, Scotland. She married on 26 Dec 1706 in St. Andrew & St. Leonards, Fife, Scotland John Brunton, born 1669 in St. Andrew & St. Leonards, Fife, Scotland; christened 1 Mar 1669 in St. Andrew & St. Leonards, Fife, Scotland, son of John Brunton and Margaret Wilson. Notes: Witnesses to Margaret's christening were David Mill, mason, John Hunter, maltman, William Anderson, and William Webster. 8 iii Elizabeth3 Doig, born 1674 in Dundee, Angus, Scotland; christened 19 Apr 1674 in Dundee, Angus, Scotland. Notes: Witnesses to Elizabeth's christening were David Milne and ?. 9 iv Robert3 Doig, born 1677 in Dundee, Angus, Scotland; christened 13 May 1677 in Dundee, Angus, Scotland. Notes: Witnesses to Robert's christening were Robert Dog, Robert Mitchell, and Robert Gloade(?). 10 v Catherine3 Doig, born 1679 in Dundee, Angus, Scotland; christened 13 Nov 1679 in Dundee, Angus, Scotland. Notes: Witnesses to Cathren's christening were William Anderson and William Simpsone(?). 3. Thomas2 Doig (Robert1), born abt 1649 Of Dundee, Angus, Scotland; died 1693/1700 in Dundee, Angus, Scotland. He married on 18 Oct 1674 in Dundee, Angus, Scotland Grizel Brand, born 1649 in Dundee, Angus, Scotland; christened 15 Mar 1649 in Dundee, Angus, Scotland, daughter of Andrew Brand. Thomas was a maltman in Dundee. 11 i Andrew3 Doig, born 1678 in Dundee, Angus, Scotland; christened 12 May 1678 in Dundee, Angus, Scotland. He married on 16 Mar 1698 in Dundee, Angus, Scotland Margaret Guild, born abt 1678 Of Dundee, Angus, Scotland. Notes: Witnesses to Andrew's christening were Jon Boyack, Alexander Williamson, and ...en Blair. Andrew was a maltman in Dundee. 12 ii Jean3 Doig, born 1679 in Dundee, Angus, Scotland; christened 24 Jul 1679 in Dundee, Angus, Scotland. Notes: Witnesses to Jean's christening were Alexander Williamsone and James Mitchell. + 13 iii Grizel3 Doig, born 1680 in Dundee, Angus, Scotland; christened 8 Nov 1680 in Dundee, Angus, Scotland. She married Robert Watson. 4. Robert2 Doig (Robert1), born abt 1655 Of Dundee, Angus, Scotland; died 1730 in Dundee, Angus, Scotland. He married (1) on 22 Aug 1689 in Dundee, Angus, Scotland Christian Grant, born abt 1670 Of Dundee, Angus, Scotland; died abt 1700 Of Dundee, Angus, Scotland; (2) on 28 Jul 1702 in Dundee, Angus, Scotland Jean Fyffe, born abt 1675 Of Dundee, Angus, Scotland. The link to parents confirmed by Thomas Doig, maltman, and Grissell Brand, brother and sister-in-law, as witnesses to the christenings of his children. Both are also mentioned on a bond in 1700. Robert was a maltman in Dundee. In 1702 he was a master maltman with Thomas ? as apprentice. He is listed in the Locket Book of Dundee on 16 Jan 1705, probably as serving privilege (heir) to his father. Robert's second marriage is based on occupation, location, and timing. Robert died about 1730, and his son John served privilege on 18 Feb 1730. 14 i Agnes3 Doig, born 1690 in Dundee, Angus, Scotland; christened 26 Jan 1690 in Dundee, Angus, Scotland. Notes: Witnesses to Agnes' christening were Thomas Doge and Alexander Cowans. + 15 ii Catherine3 Doig, born abt 1691 in Dundee, Angus, Scotland. She married Peter (Patrick) Scott. + 16 iii Grisell3 Doig, born 1693 in Dundee, Angus, Scotland; christened 9 Jun 1693 in Dundee, Angus, Scotland. She married David Walker. + 17 iv Helen3 Doig, born 1693 in Dundee, Angus, Scotland; christened 9 Jun 1693 in Dundee, Angus, Scotland; died 1765 in Dundee, Angus, Scotland. She married Alexander Milne. 18 v Elspet3 Doig, born 1694 in Dundee, Angus, Scotland; christened 4 Nov 1694 in Dundee, Angus, Scotland. Notes: Witnesses to Elspet's christening were John Boyack and John Steell. + 19 vi Margaret3 Doig, born 1696 in Dundee, Angus, Scotland; christened 3 May 1696 in Dundee, Angus, Scotland; died 4 Sep 1741 in Dundee, Angus, Scotland; buried in Howff Graveyard, Dundee, Angus, Scotland. She married James Gib. + 20 vii John3 Doig, born 1698 in Dundee, Angus, Scotland; christened 2 Jan 1698 in Dundee, Angus, Scotland; buried 27 Jul 1774 in Howff Graveyard, Dundee, Angus, Scotland. He married (1) Margaret Goold; (2) Agnes Couper. 5. Elspeth2 Doig (Robert1), born abt 1660 Of Dundee, Angus, Scotland. She married James Anderson, born abt 1656 Of Newtyle, Angus, Scotland. 21 i Thomas3 Anderson, born 1687 in Newtyle, Angus, Scotland; christened 2 Jan 1687 in Newtyle, Angus, Scotland. 22 ii Alexander3 Anderson, born 1689 in Newtyle, Angus, Scotland; christened 26 Jun 1689 in Newtyle, Angus, Scotland. 23 iii Boy3 Anderson, born 1697 in Newtyle, Angus, Scotland; christened 2 Mar 1697 in Newtyle, Angus, Scotland. 13. Grizel3 Doig (Thomas2, Robert1), born 1680 in Dundee, Angus, Scotland; christened 8 Nov 1680 in Dundee, Angus, Scotland. She married on 21 Nov 1706 in Dundee, Angus, Scotland Robert Watson, born abt 1680 Of Dundee, Angus, Scotland. Witnesses to Grissill's christening were John Haslet and James Mitchell, weaver. 24 i Elizabeth4 Watson, born 1707 in Dundee, Angus, Scotland; christened 6 Oct 1707 in Dundee, Angus, Scotland. Notes: Witnesses at Elizabeth's christening were John Fleeming and Alexander Wyllie. 25 ii David4 Watson, born 1709 in Dundee, Angus, Scotland; christened 10 Jul 1709 in Dundee, Angus, Scotland. Notes: Witnesses at David's christening were namefathers David Dog in Butterwall(? ), grandfather Robert Dog, and Hendrie Watson. 15. Catherine3 Doig (Robert2, Robert1), born abt 1691 in Dundee, Angus, Scotland. She married on 14 Feb 1717 in Dundee, Angus, Scotland Peter (Patrick) Scott, born 1687 in Dundee, Angus, Scotland; christened 6 Jun 1687 in Dundee, Angus, Scotland, son of Patrick Scott and Isabel Robertson. The pledged marriage on 4 Feb 1717 in Dundee. Peter was listed as a wright. Patrick Scott, Wright in Dundee, served privelage to his wife Catherine Doig, daughter of Robert Doig, Maltman, on 5 Nov 1717, recorded in the Lockit Book of Dundee. 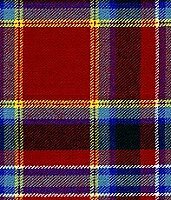 26 i Robert4 Scott, born 1720 in Dundee, Angus, Scotland; christened 8 Mar 1720 in Dundee, Angus, Scotland. Notes: Witnesses to Robert's christening were his granfather Robert Doig and Robert Scott. 27 ii Isabel4 Scott, born 1722 in Dundee, Angus, Scotland; christened 10 Jun 1722 in Dundee, Angus, Scotland. Notes: Witness to Isobel's christening was her grandmother Isobel Robertson. 28 iii Elizabeth4 Scott, born 1724 in Dundee, Angus, Scotland; christened 26 Mar 1724 in Dundee, Angus, Scotland. Notes: Witness to Elizabeth's christening was her aunt-in-law Elizabeth Scott. 29 iv John4 Scott, born 1726 in Dundee, Angus, Scotland; christened 17 Mar 1726 in Dundee, Angus, Scotland. Notes: Witnesses to John's christening were his uncle John Doig, John Scott, and John Donaldsone. 16. Grisell3 Doig (Robert2, Robert1), born 1693 in Dundee, Angus, Scotland; christened 9 Jun 1693 in Dundee, Angus, Scotland. She married on 18 Dec 1733 in Dundee, Angus, Scotland David Walker, born abt 1693 Of Dundee, Angus, Scotland, son of Elizabeth Kyd. Grisell was the twin of Helen. Witnesses to Grisell's christening were Grizell Brand, Thomas Dog, maltman, and Helen Black, relative of John Chrystie. The marriage of David Walker, wright, and Grizel Doig is recorded 8 Sept 1734 in the Lockit Book of Dundee. 30 i Elizabeth4 Walker, born 1735 in Dundee, Angus, Scotland; christened 12 Jan 1735 in Dundee, Angus, Scotland. Notes: Elizabeth was named after her grandmother Elizabeth Kyd. 17. Helen3 Doig (Robert2, Robert1), born 1693 in Dundee, Angus, Scotland; christened 9 Jun 1693 in Dundee, Angus, Scotland; died 1765 in Dundee, Angus, Scotland. She married on 10 Feb 1729 in Dundee, Angus, Scotland Alexander Milne, born abt 1693 Of Dundee, Angus, Scotland; died bef 1765 in Dundee, Angus, Scotland. Hellen was the twin of Grizell. Witnesses to their christening were Grizell Brand, Thomas Dog, maltman, and Helen Black, relative of John Chrystie. Service to Heirs: Robert Milne, sailor, London, to his mother Helen Doig or Milne, widow of Alexander Milne, Baker, Dundee, Heir General, 30 July 1765, recorded 12 Aug 1765. Alexander was a baxter, or baker, in Dundee. 31 i Robert4 Milne, born 1729 in Dundee, Angus, Scotland; christened 30 Nov 1729 in Dundee, Angus, Scotland. Notes: Witnesses to Robert's christening were Robert Doeg, grandfather, Robert Machar, Robert Milne, and Robert Horn. Robert was a sailor in London. 32 ii David4 Milne, born 1731 in Dundee, Angus, Scotland; christened 1 Apr 1731 in Dundee, Angus, Scotland. Notes: Witnesses to David's christening were David Coupar, David Gourlay, and David Milne. 33 iii John4 Milne, born 1733 in Dundee, Angus, Scotland; christened 29 Apr 1733 in Dundee, Angus, Scotland. Notes: Witnesses to John's christening were uncle John Doig, maltman, and John Robb. 34 iv James4 Milne, born 1734 in Dundee, Angus, Scotland; christened 3 Nov 1734 in Dundee, Angus, Scotland. Notes: Witnesses to James' christening were James Mashall, baker, and James Donaldson. 19. Margaret3 Doig (Robert2, Robert1), born 1696 in Dundee, Angus, Scotland; christened 3 May 1696 in Dundee, Angus, Scotland; died 4 Sep 1741 in Dundee, Angus, Scotland; buried in Howff Graveyard, Dundee, Angus, Scotland. She married on 16 Nov 1721 in Dundee, Angus, Scotland James Gib, born abt 1696 Of Dundee, Angus, Scotland. Witnesses to Margaret's christening were Margaret Watt and Margaret Stibbe(?). The following marriage is uncertain and based on age, location, and husband and father maltmen. Margaret's tombstone was erected by her brother-in-law David Walker, wright, and reads: ¿For my life is spent with grief and my years with sighing¿ Psalms 31:10. He may be the James christened 22 June 1698 in Mains & Strathmartine, son of Alexander Gib and Euphen Rait. James was a maltman in Dundee. In 1729 he was a brewer to Mr. Smith in Inveresk, probably the Archibald Smith who witnessed the christening of his daughter Elisabeth. 35 i David4 Gib, born 1722 in Dundee, Angus, Scotland; christened 21 Jan 1722 in Dundee, Angus, Scotland. Notes: Witnesses to David's christening were David Ramsay and David Gib. 36 ii James4 Gib, born 1723 in Dundee, Angus, Scotland; christened 7 May 1723 in Dundee, Angus, Scotland. Notes: Witnesses to James' christening were James Gib and James Low. 37 iii Eupham4 Gib, born 1725 in Dundee, Angus, Scotland; christened 11 Feb 1725 in Dundee, Angus, Scotland. 38 iv Alexander4 Gib, born 1726 in Dundee, Angus, Scotland; christened 17 Apr 1726 in Dundee, Angus, Scotland. 39 v Isabel4 Gib, born 1726 in Dundee, Angus, Scotland; christened 17 Apr 1726 in Dundee, Angus, Scotland. 40 vi Elizabeth4 Gib, born 12 Oct 1729 in Inveresk with Musselburgh, Midlothian, Scotland; christened 15 Oct 1729 in Inveresk with Musselburgh, Midlothian, Scotland. Notes: Witness to Elisabeth's christening was Archibald Smith. 20. John3 Doig (Robert2, Robert1), born 1698 in Dundee, Angus, Scotland; christened 2 Jan 1698 in Dundee, Angus, Scotland; buried 27 Jul 1774 in Howff Graveyard, Dundee, Angus, Scotland. He married (1) Margaret Goold, born abt 1707 Of Dundee, Angus, Scotland; died abt 1740 Of Dundee, Angus, Scotland; (2) on 17 May 1743 in Dundee, Angus, Scotland Agnes Couper, born abt 1715 Of Dundee, Angus, Scotland. Witnesses to John's christening were John Stiell and James Gower. John's second marriage is uncertain and based on occupation and timing. John was a maltman in Dundee. He served privilege to his father on 18 Feb 1730, recorded in the Locket Book of Dundee. His son John Doig, merchant, served privilege to his father on 3 Nov 1774. John was listed as a maltman. 41 i Robert4 Doig, born 1730 in Dundee, Angus, Scotland; christened 5 Mar 1730 in Dundee, Angus, Scotland; died Infant in Dundee, Angus, Scotland. Notes: Robert was named after his grandfather Robert Doig, Robert Emniess, and Robert Craig. + 42 ii John4 Doig, born 1731 in Dundee, Angus, Scotland; christened 25 Jul 1731 in Dundee, Angus, Scotland. He married Catharine Young. + 43 iii Robert4 Doig, born 1733 in Dundee, Angus, Scotland; christened 28 Mar 1733 in Dundee, Angus, Scotland. He married unknown. 42. John4 Doig (John3, Robert2, Robert1), born 1731 in Dundee, Angus, Scotland; christened 25 Jul 1731 in Dundee, Angus, Scotland. He married on 29 Mar 1765 in Dundee, Angus, Scotland Catharine Young, born 1740 in Dundee, Angus, Scotland; christened 10 Aug 1740 in Dundee, Angus, Scotland, daughter of John Young and Elizabeth Key. John was named after his uncle John Goold, taylor in London and Mr. John ...ihan, minister for the gospel in Dundee. John was a weaver and merchant in Overgate, Dundee. He served privilege to his father on 3 Nov 1774, recorded in the Lockit Book of Dundee. 45 ii Isabel5 Doig, born 17 Feb 1767 in Dundee, Angus, Scotland; christened 22 Feb 1767 in Dundee, Angus, Scotland. Notes: Isabel was named after her mother¿s aunt Isabel Key [see note for brother William] and after Isabel Young. 46 iii Catherine5 Doig, born 26 May 1769 in Dundee, Angus, Scotland; christened 28 May 1769 in Dundee, Angus, Scotland; died 20 Jan 1848 in Doig¿s Entry, Overgate, Dundee, Angus, Scotland; buried 23 Jan 1848 in Howff Graveyard, Dundee, Angus, Scotland. She married on 19 Apr 1817 in Dundee, Angus, Scotland Thomas Fairweather, born 26 Feb 1777 in Dundee, Angus, Scotland; christened 26 Feb 1777 in Dundee, Angus, Scotland; died 1851/54 Of Dundee, Angus, Scotland, son of Robert Fairweather and Christian Campbell. Notes: Catherine was named after her mother. Catherine Doig, wife of Thomas Fairweather, owned the ship "Amelia," registered in 1826 in Dundee. MARRIAGE: Both were listed from Dundee, she as the daughter of John Doig, merchant. 47 iv Elizabeth5 Doig, born 3 Apr 1771 in Dundee, Angus, Scotland; christened 7 Apr 1771 in Dundee, Angus, Scotland; died 17 Aug 1846 in Doig's Entry, Overgate, Dundee, Angus, Scotland; buried 20 Aug 1846 in Howff Graveyard, Dundee, Angus, Scotland. Notes: Elisabeth was named after her grandmother Elisabeth Key and Elisabeth Wardroper. She did not marry. 48 v Robert5 Doig, born 21 Jun 1773 in Dundee, Angus, Scotland; christened 27 Jun 1773 in Dundee, Angus, Scotland. Notes: Robert was named after Robert Scott. + 49 vi Agnes5 Doig, born 15 Jun 1775 in Dundee, Angus, Scotland; christened 18 Jun 1775 in Dundee, Angus, Scotland; buried 14 Apr 1832 in Howff Graveyard, Dundee, Angus, Scotland. She married William McPherson. 50 vii Janet5 Doig, born 1 Apr 1777 in Dundee, Angus, Scotland; christened 4 Apr 1777 in Dundee, Angus, Scotland. Notes: Janet was named after her cousin Janet Young and after Janet Cooper. 51 viii Gershom5 Doig, born 18 Jul 1779 in Dundee, Angus, Scotland; christened 23 Jul 1779 in Dundee, Angus, Scotland; buried 12 May 1783 in Howff Graveyard, Dundee, Angus, Scotland. Notes: Gershom was named after the Rev. Mr. Gershom Carmichael and after Gershom Goorlay. 52 ix Thomas5 Doig, born 25 Mar 1781 in Dundee, Angus, Scotland; christened 1 May 1781 in Dundee, Angus, Scotland; died 1806 in Calcutta, India. Notes: Thomas was named after Thomas Davidson and Thomas Blair. Aberdeen Journal - Wednesday 23 July 1806 Deaths - At Calcutta, Mr. T. Doig, youngest son of Mr. John Doig, merchant, Dundee. 43. Robert4 Doig (John3, Robert2, Robert1), born 1733 in Dundee, Angus, Scotland; christened 28 Mar 1733 in Dundee, Angus, Scotland. He married unknown. Robert was named after his grandfather Robert Doig, a brewer. He may be the Robert Doeig who married Eupham Ewan on 6 Feb 1755 in Dundee. The following daughters are uncertain and based on Margaret's son Robert Kidd being named after his grandfather Robert Doig. Margaret's husband John Kidd, brewer, was listed as an uncle at the christening of John Carmichael Kid on 24 Feb 1790 in Dundee, son of William Kid and Janet Doig. Son Robert is based on approx. age, location, and occupation as maltman. + 53 i Margaret5 Doig, born abt 1764 Of Dundee, Angus, Scotland. She married John Kidd. + 54 ii Janet5 Doig, born abt 1766 Of Dundee, Angus, Scotland. She married William Kidd. 49. Agnes5 Doig (John4, John3, Robert2, Robert1), born 15 Jun 1775 in Dundee, Angus, Scotland; christened 18 Jun 1775 in Dundee, Angus, Scotland; buried 14 Apr 1832 in Howff Graveyard, Dundee, Angus, Scotland. She married on 4 Feb 1808 in Dundee, Angus, Scotland William McPherson, born 1784 in Fowlis, Angus, Scotland; christened 7 Sep 1784 in Lundie & Fowlis, Angus, Scotland; buried 12 Mar 1838 in Howff Graveyard, Dundee, Angus, Scotland, son of John McPherson and Janet Small. Agnes was named after Agnes Cooper. Sasine recorded 29 Sept 1823: William McPherson, shoemaker, Dallfield near Dundee, and Agnes Doig, his spouse, seised 25 Sept 1823 in 1 acre 1 rood and 7 falls of land being the east part be-north the Rope Walk of the Croft of land commonly called Blackscroft at the east end of the town of Dundee; - on Ch. Resig. by the Convener, Boxmaster, and Deacons of the nine Incorported Trades of Dundee, 24 and 25 Sept 1823 (P.R. 132.18). Sasine recorded 22 Oct 1823: James Adam, weaver, Brechin, as heir to Isobel Fenton, daughter of Thomas Fenton in Blackscroft, his mother, seised 4 Oct 1823 in a house or tenement and piece of ground on the part of Blackscroft at the west end of Eundee; - on Ch. Conf. and Pr. Cl. Con. by Agnes Doig, and William McPherson, shoemaker, Dallfield near Dundee, her husband, 29 Sept 1823 (P.R. 132.130). Sasine recorded 9 Feb 1827: Ann Guild, spouse of George Cathro residing at Blackscroft near Dundee, as heir to Ann Kennedy, spouse of Thomas Anderson, weaver, Hillton, her aunt, seised 5 Feb 1837 in the east house with the east part of the yard of a piece of land being part of the croft of land commonly called Blackscrpft; - on Ch. Conf. and Pr. Cl. Con. by Agnes Doig, and william McPherson, shoemaker, Dallfield near Dundee, her husband, 3 Feb 1827 (P.R. 158.81). Sasine recorded 2 Dec 1828: David Mills, plumber, Arbroath, seised 29 Nov 1828 in a piece of land with the houses thereon being part of that croft called Blackscroft on the east end of the town of Dundee; - on Ch. Resig. and Conf. by Agnes Doig and William McPherson, shoemaker, Dundee, her husband to Elizabeth Burns, relict of David Gourlay, ironmonger, Soho, London, 17 Nov 1828; and Disp. and Assig. by her 17 Nov 1828; and elizabeth Campbell, his spouse, seised cod. die, in liferent of said subjects, propriis manibus of the said David Mills (P.R. 166.272). Sasine recorded 23 Nov 1829: James Wilson residing in Blackscroft near dundee as heir to John Wilson, late in Blackscroft, his brother, seised 28 Nov 1829 in a tenement of land with the ground on the south and north sides thereof in the croft of land called Blackscroft; on Ch. Conf. and Pr. Cl. Con. by Agnes Doig and William McPherson, shoemaker, Dallfield near Dundee, her husband, 12 Feb 1827 (P.r. 176.168). Sasine recorded 17 Nov 1838: Jean Doig McPherson, daughter of William McPherson, journeyman bookbinder, Dundee, as heir to Agnes Doig, spouse of William McPherson, shoemaker, Dundee, her grandmother, seised 10 Nov 1838 in 1 acre 1 rood and 7 falls of land being the east part b-north the Rope Walk of that croft of land commonly called Blackscroft on the south side of the common road from Dundee to Craigie; on Pr. Cl. Con. by the Incorporated Trades of Dundee, 6 Nov 1838 (G.R. 1963.215). Agnes was listed as the daughter of John Doig, weaver in Dundee. William was a shoemaker in Mains and later Dallfield near Dundee. The marriage of William McPherson, shoemaker, and Agnes Doig, daughter of John Doig, Merchant Burgess, was recorded 11 May 1818 in the Lockit Book of Dundee. + 55 i William6 McPherson, born 8 May 1810 in Dundee, Angus, Scotland; christened 19 May 1810 in Dundee, Angus, Scotland. He married Jean Hodsdon. 56 ii John6 McPherson, born 9 Apr 1812 in Dundee, Angus, Scotland; christened 25 Apr 1812 in Dundee, Angus, Scotland; died Infant in Dundee, Angus, Scotland. + 57 iii Catherine6 McPherson, born 23 May 1814 in Dundee, Angus, Scotland; christened 2 Jun 1814 in Dundee, Angus, Scotland; died 1901 in St. Peter, Dundee, Angus, Scotland. She married David Milne. 58 iv John6 McPherson, born 14 Jun 1816 in Dundee, Angus, Scotland; christened 21 Jun 1816 in Dundee, Angus, Scotland. Notes: John was named after his grandfather John Doig. 53. Margaret5 Doig (Robert4, John3, Robert2, Robert1), born abt 1764 Of Dundee, Angus, Scotland. She married John Kidd, born abt 1760 Of Dundee, Angus, Scotland, son of Mr. Kidd. John was a brewer in Dundee. 59 i Robert6 Kidd, born 24 Jul 1797 in Dundee, Angus, Scotland; christened 31 Jul 1797 in Dundee, Angus, Scotland. Notes: Robert was named after his grandfather Robert Doig. 54. Janet5 Doig (Robert4, John3, Robert2, Robert1), born abt 1766 Of Dundee, Angus, Scotland. She married William Kidd, born abt 1762 Of Dundee, Angus, Scotland, son of Mr. Kidd. William was a gardener in Dundee. 61 ii John Carmichael6 Kidd, born 22 Feb 1790 in Dundee, Angus, Scotland; christened 24 Feb 1790 in Dundee, Angus, Scotland. Notes: John was named after his John Carmichael (uncle?) and his uncle John Kid. 62 iii David6 Kidd, born 26 Dec 1791 in Dundee, Angus, Scotland; christened 28 Dec 1791 in Dundee, Angus, Scotland. Notes: David was named after David Hunter of Blackness and David Kid. + 63 iv Amelia6 Kidd, born 22 Sep 1793 in Dundee, Angus, Scotland; christened 25 Sep 1793 in Dundee, Angus, Scotland; buried 15 Feb 1836 in Howff Graveyard, Dundee, Angus, Scotland. She married James Fleming. 64 v James Heins6 Kidd, born 16 Oct 1795 in Dundee, Angus, Scotland; christened 22 Oct 1795 in Dundee, Angus, Scotland. Notes: James was named after James Laird and Mrs. Heins. 65 vi Betty6 Kidd, born 13 Oct 1797 in Dundee, Angus, Scotland; christened 15 Oct 1797 in Dundee, Angus, Scotland. Notes: Betty was named after Betty Hunter (Aunt Elisabeth Carmichael Hunter - see note for sister Henrietta). 55. William6 McPherson (Agnes5 Doig, John4, John3, Robert2, Robert1), born 8 May 1810 in Dundee, Angus, Scotland; christened 19 May 1810 in Dundee, Angus, Scotland. He married Jean Hodsdon, born abt 1814 Of Dundee, Angus, Scotland. William was named after his uncle William Doig. William was a journeyman bookbinder in Dundee. 66 i Jean Doig7 McPherson, born 31 Mar 1838 in Dundee, Angus, Scotland. 57. Catherine6 McPherson (Agnes5 Doig, John4, John3, Robert2, Robert1), born 23 May 1814 in Dundee, Angus, Scotland; christened 2 Jun 1814 in Dundee, Angus, Scotland; died 1901 in St. Peter, Dundee, Angus, Scotland. She married on 22 Sep 1841 in Dundee, Angus, Scotland David Milne, born 1819/20 in Dundee, Angus, Scotland; died 1881/91 Of Dundee, Angus, Scotland. Catharine was named after her aunt Catharine Doig. In 1891 Catherine was living on "husbands on canning" at 127 Ferry Road, St. Andrew, Dundee with children Kate, John, and Agnes Gardner, granddaughter Maggie Gardner, and a servant. In 1861 David was a house factor at 164 Overgate, Dundee with wife Catherine and 6 children. In 1871 he was a house agent at 127 Ferry Road, Dundee with Cathrina and 4 children. In 1881 he was a house agent at 127 Ferry Road with Catherine, children Catherine, David, and Mary, and a servant. + 67 i Agnes Doig7 Milne, born 12 Jul 1842 in Dundee, Angus, Scotland; christened 12 Jul 1842 in Dundee, Angus, Scotland; died 3 Jun 1903 in 9 Forest Park Road, Dundee, Angus, Scotland. She married Alexander Gardner. 68 ii Catherine McDonald7 Milne, born 25 Jun 1844 in Dundee, Angus, Scotland. 69 iii William McPherson7 Milne, born 26 Feb 1846 in Dundee, Angus, Scotland; christened 26 Feb 1846 in Dundee, Angus, Scotland. 70 iv Elizabeth7 Milne, born 15 Apr 1848 in Dundee, Angus, Scotland; christened 15 Apr 1848 in Dundee, Angus, Scotland. 71 v David7 Milne, born 1 Mar 1851 in Dundee, Angus, Scotland; christened 1 Mar 1851 in Dundee, Angus, Scotland. 72 vi Ann7 Milne, born 12 May 1854 in Dundee, Angus, Scotland. 73 vii John McLean7 Milne, born 19 Aug 1856 in Dundee, Angus, Scotland. 74 viii Mary7 Milne, born 17 Aug 1858 in Dundee, Angus, Scotland. 63. Amelia6 Kidd (Janet5 Doig, Robert4, John3, Robert2, Robert1), born 22 Sep 1793 in Dundee, Angus, Scotland; christened 25 Sep 1793 in Dundee, Angus, Scotland; buried 15 Feb 1836 in Howff Graveyard, Dundee, Angus, Scotland. She married on 21 Aug 1811 in Dundee, Angus, Scotland James Fleming, born abt 1786 Of Dundee, Angus, Scotland. Amelia was named after Amelia Hunter (Aunt - see note for sister Henrietta)). 75 i Thomas Erskine7 Fleming, born 26 Dec 1814 in Dundee, Angus, Scotland; christened 4 Jan 1815 in Dundee, Angus, Scotland. 76 ii James7 Fleming, born 24 Mar 1818 in Dundee, Angus, Scotland; christened 1 Apr 1818 in Dundee, Angus, Scotland. 77 iii Jessie7 Fleming, born 11 Mar 1827 in Dundee, Angus, Scotland; christened 20 Mar 1827 in Dundee, Angus, Scotland. 78 iv Alexander7 Fleming, born 14 Nov 1829 in Dundee, Angus, Scotland; christened 24 Nov 1829 in Dundee, Angus, Scotland. 79 v William7 Fleming, born 1 Dec 1831 in Dundee, Angus, Scotland; christened 18 Dec 1831 in Dundee, Angus, Scotland. 67. Agnes Doig7 Milne (Catherine6 McPherson, Agnes5 Doig, John4, John3, Robert2, Robert1), born 12 Jul 1842 in Dundee, Angus, Scotland; christened 12 Jul 1842 in Dundee, Angus, Scotland; died 3 Jun 1903 in 9 Forest Park Road, Dundee, Angus, Scotland. She married on 22 Oct 1867 in Dundee, Angus, Scotland Alexander Gardner, born 1835/36 in Glasgow, Lanark, Scotland; died 1881/91 in Scotland, son of James Gardner and Margaret Love. In 1881 Alexander was an enginefitter at Works living at 58 Fairfield Street, Govan, Lanark with wife Anges and daughter Margaret. 80 i David Milne8 Gardner, born 19 Jul 1868 in Dundee, Angus, Scotland; died 1870 in St. Andrew, Dundee, Angus, Scotland. + 81 ii Margaret (Maggie) Love8 Gardner, born 13 Mar 1870 in Dundee, Angus, Scotland. She married (1) unknown; (2) Henry Pettie. 82 iii Kate McPherson8 Gardner, born 26 Feb 1872 in Dundee, Angus, Scotland; died Infant in Scotland. Notes: Kate was not with the family in 1881 and is presumed deceased. 83 iv Alexander8 Gardner, born 28 Feb 1874 in Dundee, Angus, Scotland; died Infant in Scotland. Notes: Alexander was not with the family in 1881 and is presumed deceased. 81. Margaret (Maggie) Love8 Gardner (Agnes Doig7 Milne, Catherine6 McPherson, Agnes5 Doig, John4, John3, Robert2, Robert1), born 13 Mar 1870 in Dundee, Angus, Scotland. She married (1) Not married unknown; (2) in 1897 in Dundee, Angus, Scotland Henry Pettie, born 1872/73 in Edinburgh, Midlothian, Scotland. In 1901 Henry was an Artificial Limb & Surgical Instrument Maker at 24 Morgan Street, Dundee with wife Maggie and children Henry, Anne, and Minnie. + 84 i David Milne9 Gardner, born 20 Nov 1893 in 60 Logie Street, Dundee, Angus, Scotland. He married Mary Ann Ramsay Harris. 85 i Henry9 Pettie, born 1897/98 in Dundee, Angus, Scotland. 86 ii Ann9 Pettie, born 1898/99 in Dundee, Angus, Scotland. 87 iii Minnie9 Pettie, born 1899/1900 in Dundee, Angus, Scotland. 84. David Milne9 Gardner (Margaret (Maggie) Love8 Gardner, Agnes Doig7 Milne, Catherine6 McPherson, Agnes5 Doig, John4, John3, Robert2, Robert1), born 20 Nov 1893 in 60 Logie Street, Dundee, Angus, Scotland. He married in 1919 in Dundee, Angus, Scotland Mary Ann Ramsay Harris, born abt 1898 Of Dundee, Angus, Scotland. In 1901 David boarded with Elizabeth Duncan and her children Frances and Victor at 40 Coupar Street, Liff & Benvie. -----, Dundee Burial Records, (#0993406) - Catharine Doig, Agnes Doig, Gershom Doig. -----, Extracts from the Index to the Lockit Book of Dundee, (Dundee Public Library) - Robert Dog, John Doig, John Doig. -----, Old Parochial Records, Dundee (#0102612, 099342); St. Andrews (#0102243) - Margaret Doig. -----, Tay Valley People, (Tay Valley Historical Society, 1989), Part 5, page 8 - Thomas Doig. Mitchell, Alison, Pre-1855 Gravestone Inscriptions in Angus, Volume Four, Dundee and Broughty Ferry, (Edinburgh: Scottish Genealogy Society, 1984) - William Winter, Margaret Doig. Pellow, Ada, The Maltmen, Customs and Excisemen of Dundee1700 to 1850, (Dundee, Tay Valley Family History Society, 1991) - Andrew Dog, Robert Dog.